After a slightly later than intended start (due to a not-very-good night's sleep - kept awake by the gale-force wind howling round the caravan, and the occasional apple bouncing off the roof), MrM drove us down to Ripon to meet up with Chris and Mike, friends from West Yorkshire. 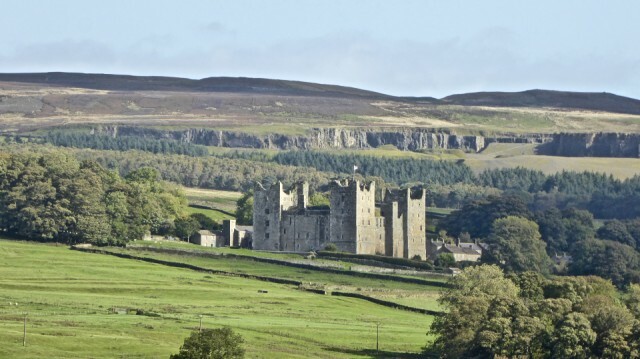 It was a squally morning of sunshine, showers and rainbows as we drove through beautiful Wensleydale, passing Castle Bolton en route. The 'proper Yorkshire' chip shop where MrM and Mike had hoped to eat was shut - it's Monday(!) - so we walked across to the Unicorn Hotel (a Wetherspoon's pub), for lunch. 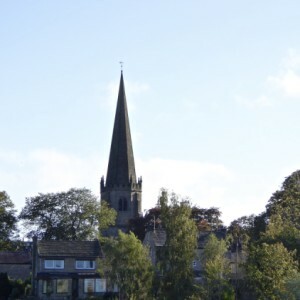 Then, after a stroll around a park with Chris, we said goodbye and MrM drove us back to Reeth, stopping off in Masham (extra), one of our old haunts, on the way.